101 is a prime number. Prime factorization: 101 is prime. The exponent of prime number 101 is 1. Adding 1 to that exponent we get (1 + 1) = 2. 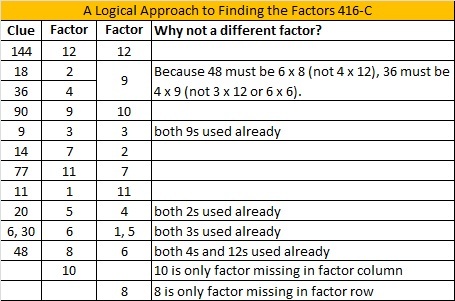 Therefore 101 has exactly 2 factors. How do we know that 101 is a prime number? If 101 were not a prime number, then it would be divisible by at least one prime number less than or equal to √101 ≈ 10. Since 101 cannot be divided evenly by 2, 3, 5, or 7, we know that 101 is a prime number. 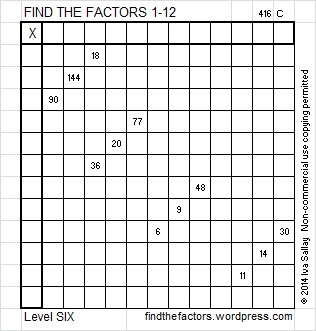 101 is never a clue in the FIND THE FACTORS puzzles. You know, that’s peculiar. I mean, it’s obvious that 101 is a prime number, but I don’t remember noticing it before, which is funny since it’s the sort of attention-getting number that I’d think I would notice was or wasn’t prime. 1001, 10001, and so on up to 10^18 + 1 all turn out to be composites, so I wonder if 101 is the last of these powers-of-ten-plus-one numbers to be prime. I’m glad 101 and other numbers get your attention! Thanks for informing us about all of these powers-of-ten-plus-one numbers. If there is an even number of zeros sandwiched between the 1s, the resulting number is always divisible by 11. I don’t know any general rule about these numbers with an odd number of zeros.